About the highest stakes a family can face and the bonds that can tear a community apart, this is a novel as spectacular and powerful as Alaska itself. It is the finest example of Kristin Hannah's ability to weave together the deeply personal with the universal. Great read to lose yourself in. The title says it all - the setting and abusive family relationship. 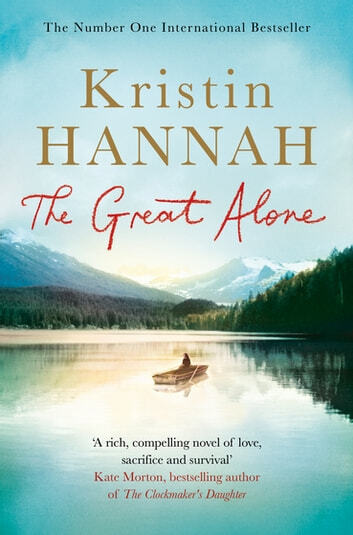 I thoroughly enjoy Kristin Hannah's writing style. This is her second book I have read and loved. Fantastic read. One of those books you just don't want to put down. The summers in Alaska sound beautiful - the winters horrific. The idea that people's true natures win out in those varying conditions and binds the community together sounds great. A well told story & I will definitely be reading more of her books. Alaska is on my bucket list, after reading this amazing story I feel like I've already been there. Beautifully written, even the brutal sections showed caring. Couldn't put it down. Thankyou. Loved this book. I was enthralled from start to finish. I will definitely read more by this author.